Traditional style cottage that stands on lands once owned by the Standish Barry Estate. 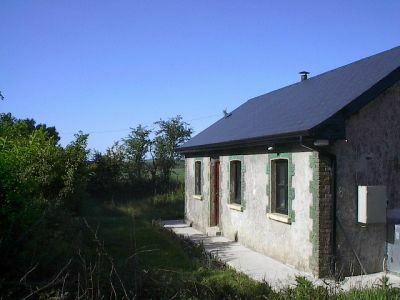 This rural cottage is in an area where agriculture is the primary focus of activity. The cottage has 1 bedroom, double bed with oak flooring, this leads into a traditional style kitchen ( newly renovated), with shaker maple kitchen, all modern appliances, wood burning stove, black slate flooring, high vaulted ceilings with velux windows to catch the evening sunshine. Bathroom has shower & toilet only (no bath). Water comes from a well on site, solar panels heat the hot water and there is oil central heating for the winter time which makes the cottage cosy all yr round. Wifi available if you bring your laptop.